looks like a construction fence! Kinda does! 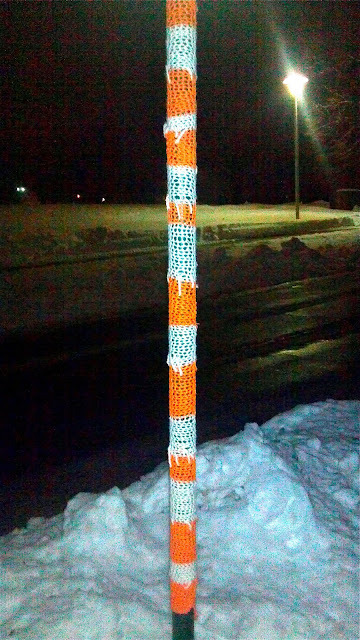 That's how crochet looks when you stretch the hell out of it. Feels like I'm cinching a corset while sewing it sometimes.